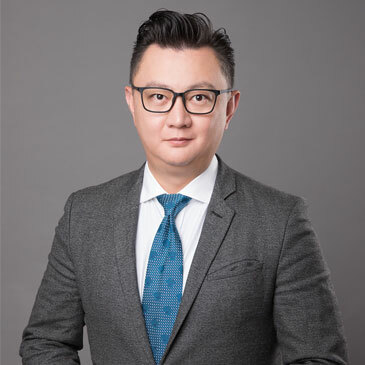 Mike Zhuang joined VeChain as a Partner and Chief Strategy Officer (CSO) in 2018, primarily responsible for overall corporate governance and s tra tegy, business development of international markets, as well as overseeing global investment and incubation programs. Mikeisan instrumental, seasoned and accomplished business, finance and corporate governance leader with an extensive background in the high tech, electronics, services and consulting industries. Prior to VeChain, Mike was a Director from Arrow Electronics (NYSE: ARW), a Fortune 150 company, managing Corporate Audit, as well as Merges and Acquisitions related matters including pre-acquisition due diligence and post-acquisition integration etc. Mike started his public accounting career with PwC Shanghai. Subsequently, he progressed his career and expanded his leadership roles within various large Fortune 500 companies in the United States and Hong Kong, leading and managing different teams and staff in North America and Asia Pac regions. Mike is a Certified Public Accountant (CPA) in the United States, Certified Internal Auditor (CIA) and Certified Information Systems Auditor (CISA). He holds a Bachelor of Engineering from Shanghai Jiaotong University and a Master from Kelley School of Business, Indiana University.